Crowd funded HIV vaccine–junk science? 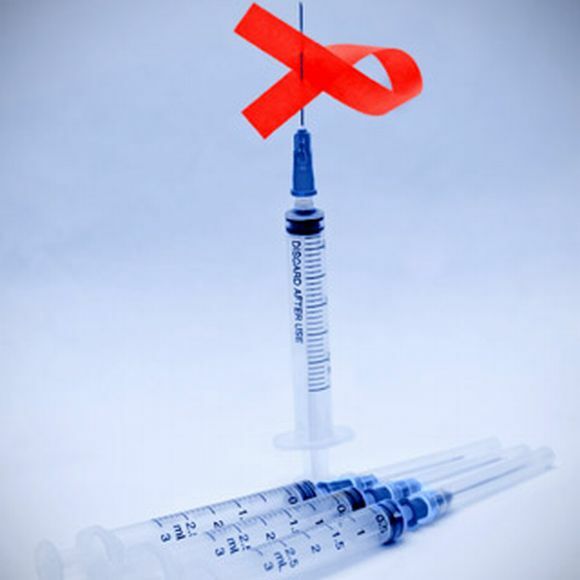 Finding a vaccine for HIV. I pay attention to vaccines, not just the ones on the market, but also the future technologies that will allow us to prevent other types of diseases. This not only includes preventing common communicable diseases, but also using vaccines to boost the immune system so that the immune system can destroy and prevent diseases like cancer. Traditional vaccines available today mimic the natural immune process against reinfection, which is generally seen in individuals who have recovered from infection. Unfortunately, there are almost no recovered AIDS patients to give us a model for preventing reinfection. Because HIV infection may remain latent for long periods before causing AIDS, a vaccine induced immunity probably cannot destroy the HIV virus until the AIDS disease itself shows up, at which point the vaccine-induced immune process may be ineffective. Most effective vaccines are whole-killed or live-attenuated organisms; killed HIV-1 does not retain antigenicity for the adaptive immune system to “remember.” On the other hand, a live virus might provide proper antigenicity, but live HIV vaccines may raise significant safety issues. Most vaccines protect against infections that are infrequently encountered, which means the immune system can be fairly efficient in dealing with the pathogen. Unfortunately, individuals at high risk to HIV may encounter the virus frequently, even daily, which may overwhelm any immune response. Most vaccines protect against infections through mucosal surfaces of the respiratory or gastrointestinal tract; the great majority of HIV infection is through the genital tract. However, this is might be relatively easy to overcome. Furthermore, several hurdles have been identified which must must be overcome before scientific research will discover the ultimate HIV vaccine. First, success in animal models has not translated to success in human trials. This problem is the great bane of all biomedical research, but the lack of transferability of the knowledge from animal research to humans has not been encouraging. Second, new, more effective, and more easily produced HIV antigens must be identified, then put into vaccines. Finally, and most importantly, more robust research is required into the human immune response to HIV vaccines, which probably prevents us from overcoming the first and second challenges. There is a belief in this area of research that someone needs to “think out of the box” to shift the paradigm in developing an AIDS vaccine. But just because we need to rethink how we develop a vaccine, doesn’t mean we should invent stuff without any scientific foundation in the study of preventing HIV infections. There is a company, called the Immunity Project, that is relying upon “crowd-sourcing,” that is, getting startup, and later phases of, funding online from a broad community of “investors” who contribute usually smaller amounts of money. They want to develop an AIDS vaccine, with all of the research and development using non-traditional sources of money, and then give away the vaccine for free. A nobel cause, but we’ll get to their business model in a bit. Let’s focus on the science. According to the scientific consensus, nonprogressors have gene mutations, receptor mutations, mitochondrial DNA mutations, or some other genetic variance that cause the individual to more aggressively attack the HIV pathogen. So, how is IP going to induce this not well understood condition with a vaccine? Is this vaccine going to induce a mutation? Is this vaccine going to somehow force the body to act like a controller through some radical new biotechnology? Well, that’s why there’s peer-reviewed research, which gives us an opportunity to review the science and begin the process of skeptically analyzing the methods, data, analysis and conclusions. WHAT IS THE STATUS OF THIS RESEARCH BEING PUBLISHED IN A PEER REVIEWED JOURNAL? We are awaiting publication in a peer-reviewed journal. That’s not good. Let me look up the research of the principle investigator for PI, I’m sure he’s an authority on HIV/AIDS research and HIV vaccines. Reid Rubsamen has published a lot of papers, but as far as I can tell, none in AIDS, HIV, or even generally vaccines. His partner, David Heckerman, is a computer scientist. I’m sure these are two very bright individuals, and I’m sure they’ve hired some bright HIV/AIDS researchers on staff, but they aren’t the face of the company, and the company has yet to publish any of its research to even begin convincing a skeptic that they have any evidence whatsoever to support their claims. In other words, a well-known HIV vaccine researcher cannot figure out what they’ve done. In fact, IP claims that the vaccines “does not rely on an antibody response. Previous vaccines have been designed to induce neutralizing antibodies in the hope of preventing or aborting infection with HIV.” So, what are they trying to do? That does not necessarily mean that IP is pushing junk science, but, to be honest, I can check off several things that they are doing that would set off the pseudoscience radar. Seriously, the website, which is bereft of any convincing scientific evidence, would be something I would expect from the junk science world of Mercola. Since I will not fall for the Argument from Ignorance, I will rely upon “extraordinary claims demand extraordinary evidence,” a top AIDS vaccine researcher, along with little old me, see absolutely no evidence whatsoever to support an ordinary claim, let alone an extraordinary one. I have a lot of experience in funding and developing biomedical startups. And what I see here causes me a lot of concerns. Traditionally, a new idea in biomedicine, which may have market potential, goes to a series of risk capital (or venture capital) investment sources that are experienced in the science of the new idea. The venture capital group thoroughly vets the founders (intrusive background checks), researches the science of the business proposal (most venture capital firms have research departments staffed with Ph.D.’s and MD’s with strong critical analysis skills), and demands a business plan that has some reasonable chance of success. The Immunity Project appears to have gotten some money from Microsoft, but to get through Phase 1 clinical trials (an early phase of clinical research that does not have enough numbers or time to determine efficacy, just purely determines if the vaccine doesn’t harm, and even that is not statistically significant), they need over $20 million, which is why they’re going to crowdsourcing. Apparently, since they can’t get money from the traditional route (or maybe they don’t want to go that route, because of the goal of “free vaccines”), they’re going to accept “investments” from individuals who have no scientific acumen, and buy into this apparent junk science. Moreover, I think these individuals are ridiculously overoptimistic (which, admittedly, is a characteristic trait of entrepreneurs), but they lack management experience in bringing a drug to market. They are ignoring the cost of manufacturing. And even if it is free, that doesn’t mean that it can be manufactured for free. And it doesn’t mean it will be exempt from liability if something goes wrong. And it doesn’t mean that they get to ignore regulatory pathways in dozens of countries. One vaccine probably will cost them $100 million or more a year just to manage it, while they have no income stream because their noble cause is to give it away. If their vaccine works, then sell it at a profit, they might have a chance to make the business model work (though, it doesn’t do anything for their science). Give it away to Africa if you wish, but let Americans and Europeans subsidize that charity by making them buy it. This business model is so laughably amateurish, that I cannot believe anyone actually will give these people a single dollar. Of course, social networking for money probably requires no more critical thinking skills than social networkers who push around a meme that bananas cure cancer. So let’s review. No scientific evidence. No responsible business plan. Not sure what we’ve got here. Big Science? No, they really mean Big Pharma. That’s it, I’m now convinced that this is all pseudoscience–this is just what the junk science pushers do. Real scientific research for an HIV vaccine is hard work, full of trials and errors. 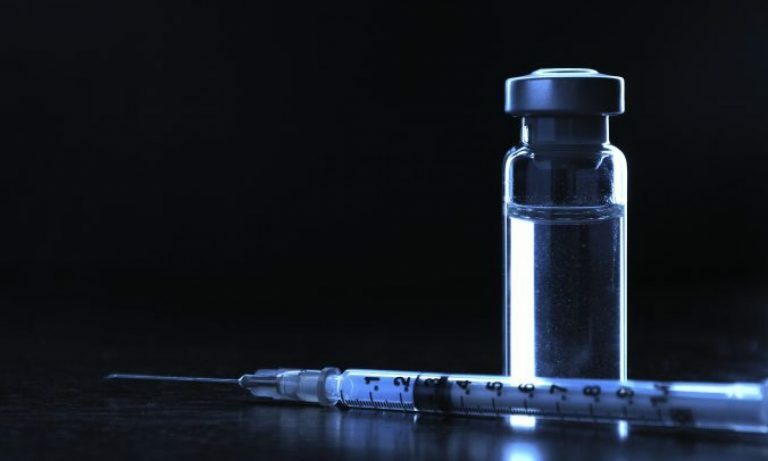 A recent trial of one vaccine was moderately successful, but the better news is that it provided evidence that is pushing HIV vaccines research into a slightly different direction which may (or may not) prove ultimately successful. As I’ve said over and over and over, real science is really hard work. The Immunity Project may have built a well designed website, appealed to a few logical fallacies, believed it can sell vaccines for $0, and then attacked Big Pharma/Science for not doing anything–people will line up genuflecting at their brilliance, while sending IP a boatload of money. But science isn’t easy, and the Immunity Project has yet to show us any evidence that they can actually do anything about AIDS. Do I think they’re a scam? Probably not, they believe in what they’re doing. But people believe that GMO’s are dangerous, vaccines don’t work, global warming is unreal, and humans lived with dinosaurs. What matters is evidence, and they have provided none, and they’re taking people’s money to support something without any science, as far as we can tell. That concerns me. Immunity Project needs to be completely transparent about the science of its vaccine, and this means publications (note plural) in high quality peer-reviewed journals, presentations at major HIV/AIDS conferences where they stand up to scientific criticism and not do a PR stunt of presenting their unreviewed data and then running away, and providing their preclinical data (which they claim they have) publicly. If you’re going to take money from investors, you need to do that. Finally, IP needs to be honest about its business model, and how they intend to actually provide vaccines for free. There’s way too much about which to be skeptical. And hardly anything to think they’ve actually done something innovative and groundbreaking in HIV vaccines.